This classic was first printed in 1967. 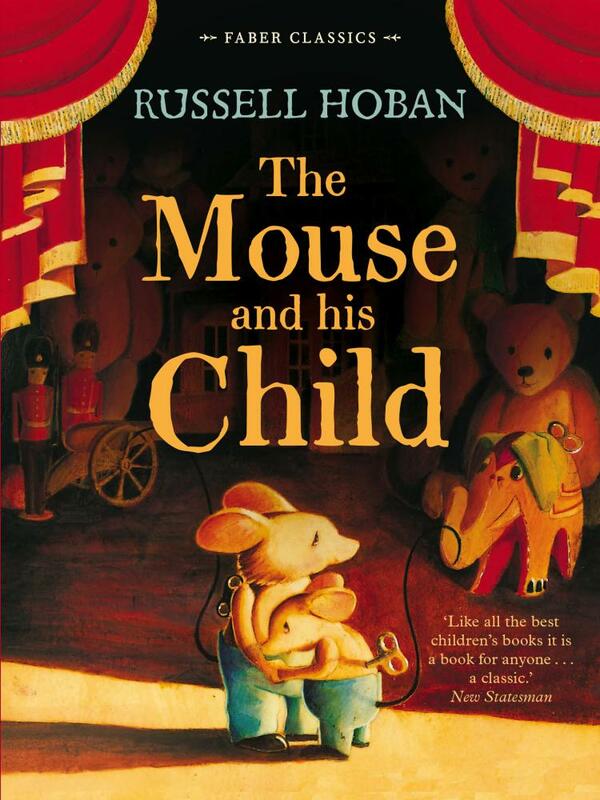 Russell Hoban has left a magnificent legacy to the world of children’s books. Anyone who has not undertaken a journey into his work, I suggest you explore his incredible talent. As always, Hoban’s work is composed of strong philosophical messages and powerful themes that weave in and out of clever prose and a well-crafted story. The illustrations are by Russell’s wife, Lillian Hoban. The backstory begins with two tin wind-up toy mice. They are father and son that live in a grand doll’s house until they are purchased from the toy shop to be placed under a Christmas tree. For years they are taken out and wound only during the days of Christmas, before they are crushed by a falling vase and thrown into the rubbish bin. A homeless man that had admired them through the shop window before their sale, retrieves them, patches them up, and sets them on their way to whatever is waiting for them. They go on a courageous, lengthy journey which becomes a lesson in self-discovery. Great change occurs in both father and child mouse. They restore themselves from the broken shells they had become due to bad experiences and betrayals, overcome starvation and immobility, and endure everything to remain free. Their past prepares them for what’s to come. Roles are reversed. The last are now first; the enemy now an ally and friend. This story is about a ‘scattering regathered’, hope and optimism, and the power and liberation of forgiveness. It’s about family and a place of one’s own; the realization of dreams, and justice, as everything comes full circle. Absolutely brilliant!